Whilst the Motabilty Scheme is centred on disabled people, in many cases it’ll be managed by carers. Here’s what you need to know. Nominees or appointees are the obvious solution where a disabled person (using the Scheme) is either too young (under 16) or unable to look after their own affairs. The essential difference between the two roles is that an appointee has full (legal) responsibility for collecting benefits for a disabled person in their care and indeed, deciding how those benefits are used. Appointees are usually family members and are assigned by the Department for Work and Pensions (DWP). The customer’s Motability Scheme agreement remains in their own name. Nominees are officially recognised by Motability as people that are able to talk about a customer’s lease, unlike say, friends of family members, that whilst may have good intentions, are not able to speak about a customer’s lease (due to data protection rules). Fortunately, to prevent these issues, nominees can be added in case of unforeseen scenarios. Nominees are able to make minor changes to the Motability agreement such as changes to address details and can also access insurance cover with RSA Motability, including adding or removing drivers from the policy. Motability customers with more than one carer needn’t worry since they are allowed to add them to the insurance policy as drivers. If you are unsure if you are a nominee or an appointee, you can check directly with the DWP on: 03457 123456. During your own investigations into Motability, you’ll certainly come across the term ‘WAV’. This stands for ‘Wheelchair Accessible Vehicle’. These vehicles usually come with far more extensive adaptations and as the name suggests enable customers to literally wheel on board as either a driver or passenger – which has its advantages. The essential difference as far as the financial side of things is that because of their larger scale WAVs tend to have bigger price-tags and instead of a three year lease (like the standard cars on the Scheme) will have a five year lease given that they are far more personally tailored and that the adaptations are more integral to the structure of the vehicle. A WAV can be a practical way for a wheelchair user to get around without the fuss of transferring from their wheelchair but perhaps the downside is that the WAV itself is likely to be a large vehicle and will take some getting used to driving (by comparison with a family car). Whilst all of the vehicles on the Motability Scheme have their strengths and weaknesses, customers are also able to consider a wide variety of adaptations to apply to them which will help to make them a better fit for their own circumstances. Adaptations can include small things such as a steering wheel (handle) ball or seat cushions to improve the driver’s visibility through to ‘paddle controls’ which mean that use of feet isn’t necessary to operate the clutch, brake or accelerator. Dealership assistants will already know about adaptations as will anybody you know that already drives an adapted vehicle. The Caddy has a diesel engine which delivers excellent on the road performance combined with excellent fuel economy and low emissions, and comes with the choice of manual or automatic transmission. 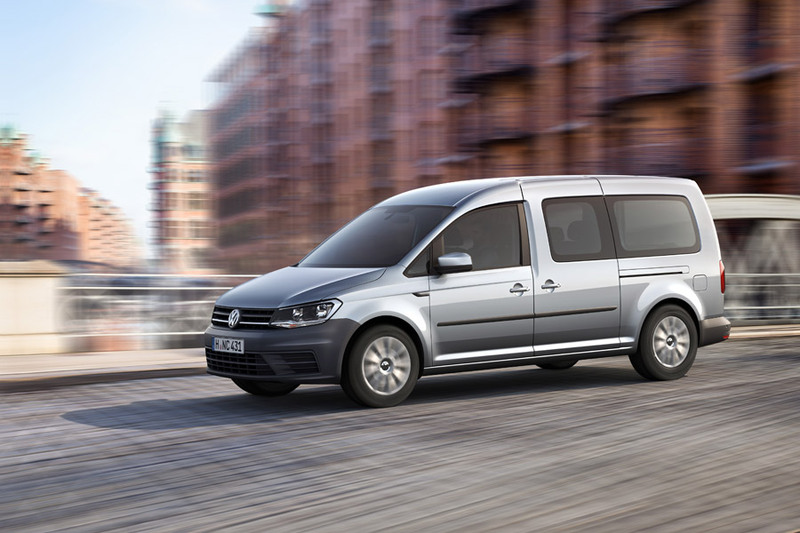 In terms of convenience, the Caddy offers five removable seats which can turn this MPV from practical family runabout into a fully-fledged van, making it an incredibly versatile option for carers. That being said, since the Caddy Maxi is based on a van, there are very few luxuries to be found in the cabin although the fittings and fixtures feel of a high quality. The Caddy offers a variety of seating options, which can only be a positive for accessibility, but it is worth remembering that it also has a fairly high road clearance meaning that it may be difficult for some wheelchair users to access the vehicle unassisted. That being said, the driving position offers excellent elevation allowing for a clear view of the road ahead. As previously mentioned, the Caddy Maxi takes its base from one of Volkswagen’s van range which means that, if seats are removed, it offers arguably the most versatile and capacious storage of any vehicle available directly through Motability. However, carers should note that removing the rear row of seats is difficult since they are heavy (upwards of 30kg) and they do not fold flat, meaning that owners will need somewhere to store them when not in use. The BlueTec efficiency package utilises a special injection system to clean exhaust gasses to the latest Euro VI emissions standards and is included on all Mercedes Vito Tourer models. There’s plenty of refinement from the engine through to goodies including cruise control with a variable speed limiter as standard, along with a smart multifunction steering wheel with trip computer and a high-resolution 5.8-inch TFT display topped off with comfort seats, comfort suspension, interior ambient lighting and headlight assist. 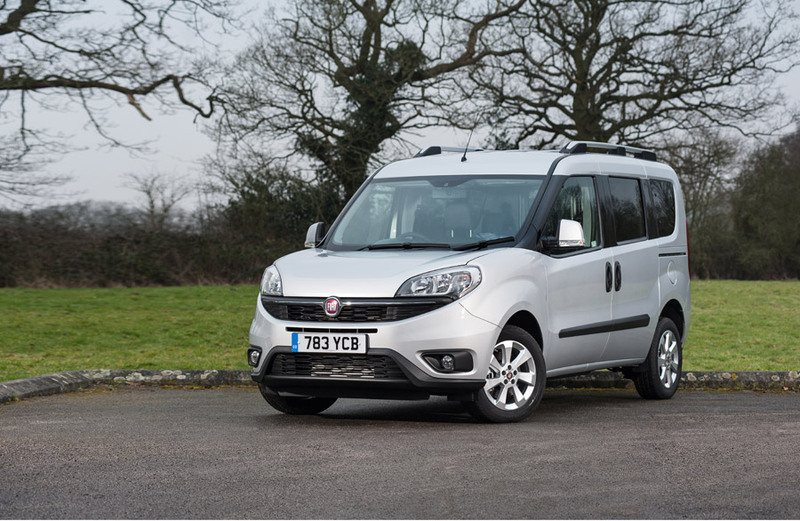 The Fiat Doblo is just the right side of quirky. It’s another Fiat ‘feelgoodmobile’. It’s tempting to say that the Doblo is ‘fun for all the family’ given that you’d likely fit so many of the clan in. Space isn’t going to be a problem; the height means that everyone gets a good amount of headroom although legroom, comfortable though it is, isn’t remarkable. The Doblo also has practicality in spades. 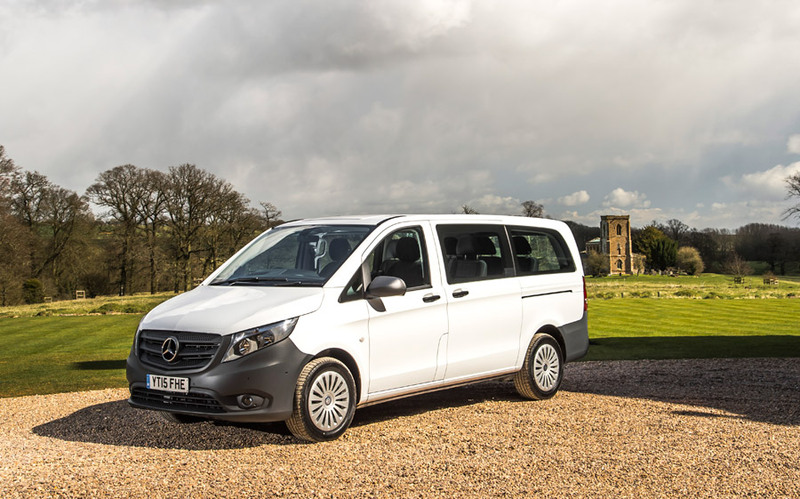 The space and configurations means that it can lend itself to any sort of family outing – the relationship to the ‘workaday van’ version is such that it shares many of the same ‘selling points’. Oddly, the boot only really becomes practical once the two occasional seats are removed and furthermore, the rear door requires quite a bit of space to open up. Driving the Doblo isn’t as tricky as it looks. The shape hides a vehicle that copes surprisingly well in town and on faster roads alike. The handling isn’t refined but is comfortable enough.